One of my favorite fruits to enjoy during the summer is Watermelon. It’s sweet, refreshing, and packed full of essential nutrients. Today in celebration of National Watermelon Day, I decided to make a watermelon salad. So I hopped on Pinterest to find a recipe. Most recipes I found called for Feta Cheese. I didn’t have any on hand and I wasn’t feeling going to the grocery store either, so I scratched that. Then I remembered I had some cotija cheese left from the Mexican street corn I made last week. That may work! I cut a piece of watermelon that I just picked up from the farmers market yesterday and sprinkled it with the cheese and added a few drops of balsamic glaze. We had a winner! So good!! 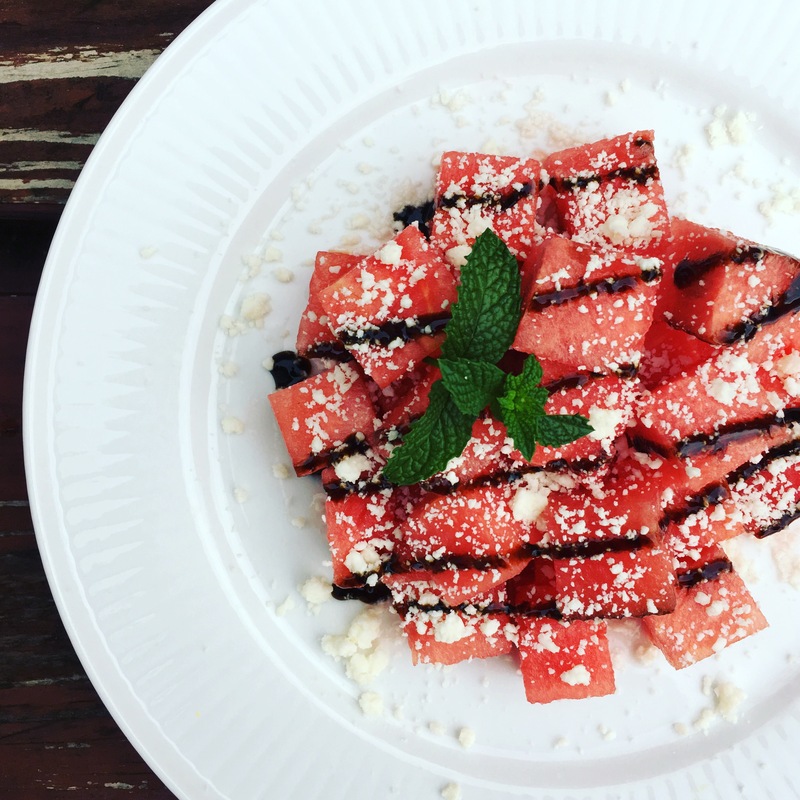 It’s really the easiest way to fancy up a plate of watermelon ever! Cut and cube desired amount of watermelon. Drizzle with desired amount of balsamic drizzle.